Exams are stressful, but there are ways that you can manage your workload to make your study more productive and successful. Check out this article from DevelopGoodHabits.com that outlines 11 good study habits and how to build a routine. Habit #10 on that list is getting enough sleep – getting a good sleep will help you retain information better, as well has help consolidate your learning and memory. In addition, when you sit down to take the exam, being well rested and alert will improve your ability to recall information. How does exercise fit in? Making sure you exercise daily will help you to sleep better. Aim for 30mins a day (in 10min blocks if need be) to maintain health. Vigorous is best, but even light exercise is better than none at all! It’s also important to accept that you cannot study 24/7, so take some time away from the books to rest your mind. Every hour take 5-10 minutes to get up and move around. A little bit of movement, fresh air or stretching will do wonders for your focus when you sit back down. Need some ideas? A quick YouTube search can find you a range of 5-10min workouts to follow. You can try a 10min beginner yoga practice, a 10min HIIT circuit or even shake it out with some Zumba tracks. Set a few up in a queue and presto, you’ve got a 30min workout you don’t even have to leave the house for! 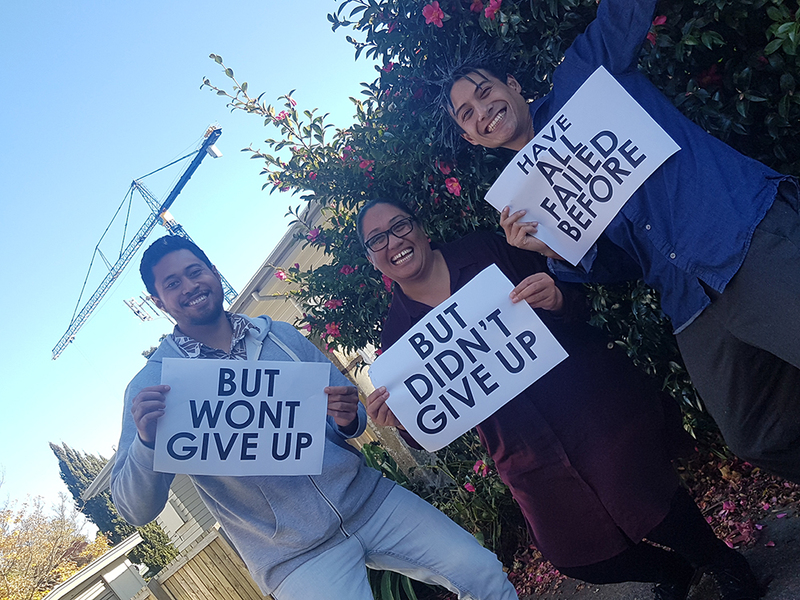 Riki Welsh from the Pacific Development Team shares some wise words about getting ready for exams. EXAMS are nearly here, so it is time to start prepping to succeed…..and to minimise the impact of failure. That might sound like a random statement to make, but for many students it’s a reality and needs to be treated as a valuable learning curve as opposed to something to ignore. Of course we at UC want to see everyone succeeding all the time, but that isn’t always how life works. Sometimes life gets in the way of study, sometimes we had circumstances affect us that prevented us from studying, and sometimes we just made the wrong decision at the wrong time – which has meant it now looks like we might fail a course. By addressing this head on, it means you can become realistic about what kind of grade you might expect, but it also means you can make peace with not passing a course and instead focus your energies on the course that you will pass. Sometimes we spend far too much time stressing about courses we are not going to pass – it stops us from studying altogether when perhaps there is still hope for other courses! So the first step is to GET REAL! (which I say with love lol). Look at your grades to date, the number of classes you have attended etc. Hopefully for all of your courses, you are doing well and can pass. However, if it is abundantly clear that there is a course you have missed all the lectures for since week three, and you haven’t handed in any of the assessments, than the chances are you may not pass the course. If this is the case than a helpful suggestion is to TALK. A good starting place is to talk to your lecturer. They might be unhappy that you disengaged with the course, but they are human and also have a really good understanding of the course. In some cases, they may find a way for you to catch up, in other cases they may recommend that it will not be possible for you to pass the course. If you don’t feel comfortable talking to a lecturer, perhaps start by seeing someone from Student Care, or the Pacific Development Team, or the Maori Student Development Team. The next step is to PLAN – Once you have a good idea about which courses you may not pass and which courses you can pass, its good to plan for both. If you have circumstances beyond your control that contributed to you not being able to pass the course you might be able to use the Special Consideration process to minimise the effect. You may be able to get an Aegrotat for pieces of assessment (which actually means you may be able to pass the course), or you might be able to get a backed-dated discontinuation which means you will be withdrawn from the course as opposed to getting a fail grade on your transcript. In both cases, there are deadlines to be aware of, so planning is important! Ensure you have all the notes. If not, make getting all the notes from your courses one of your first steps. Feel free to chat with lecturers or tutors about this. Make a study plan, but be realistic. Don’t write that you will study on Saturday night if you know your friends 21st Birthday party that night. Tell others about your study plan. This makes you accountable lol! If they notice you aren’t studying when you said you would be, their disapproving looks might be enough to encourage you to study more. There are an abundance of other tips that can be useful for examination preparation, so like usual, make the most of all the info out there, and do what works for you! Of course we absolutely hope that everyone will pass all their courses! But if there are any students out there who know this might not be a reality, the best possible thing you can do is to talk to someone about it. Fear of failure and the perceived ‘embarrassment’ that comes with it can be really crippling, so all I can say is that you can trust staff at UC to be professional and to help you deal with it in the best way we know how, whether that is through advice, or referring to the appropriate place. All the best with the upcoming assessments. A significant part of my role as the Vice-President if the UCSA is representing students, and recently I was lucky enough to speak for arts students that learn and perform in the incredible new facilities at the Arts Centre. 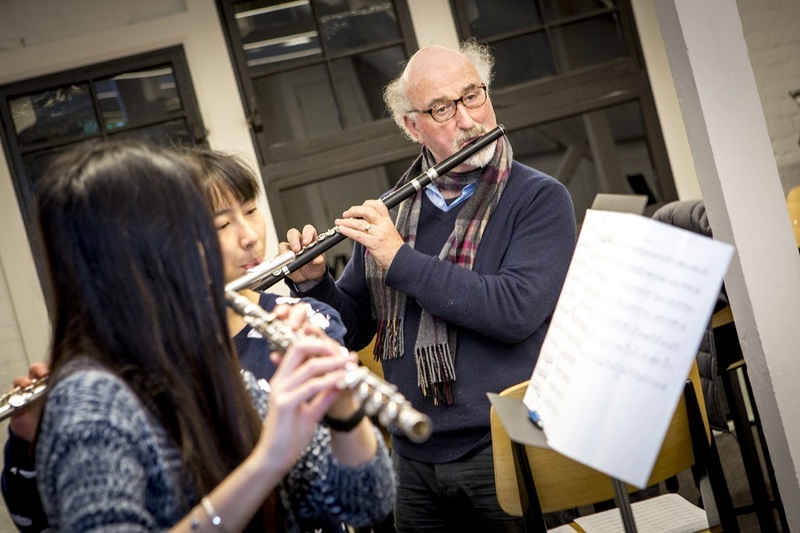 It is an absolute privilege for the students of Music Performance and Classical Studies to be studying where the University of Canterbury began and some of our most influential alumni studied. The Arts Centre has been a place of world-changing research and legacies of UC and it is truly inspiring to think that students of 2017 and beyond are finally inheriting this history to make the foundation for the future of arts at UC. When the University moved to Ilam, the Arts Centre grew to be the hub for arts and entertainment in Christchurch. It therefore seems only fitting to have music students among the first to move back to this site. Alongside practice suites, a lecture theatre and library, workstations, and offices, there is a recital space where students hold weekly concerts open to the public, and soon to be bi-weekly. The move has allowed initiatives like this to happen, and has therefore also allowed a stronger connection between students and the community. 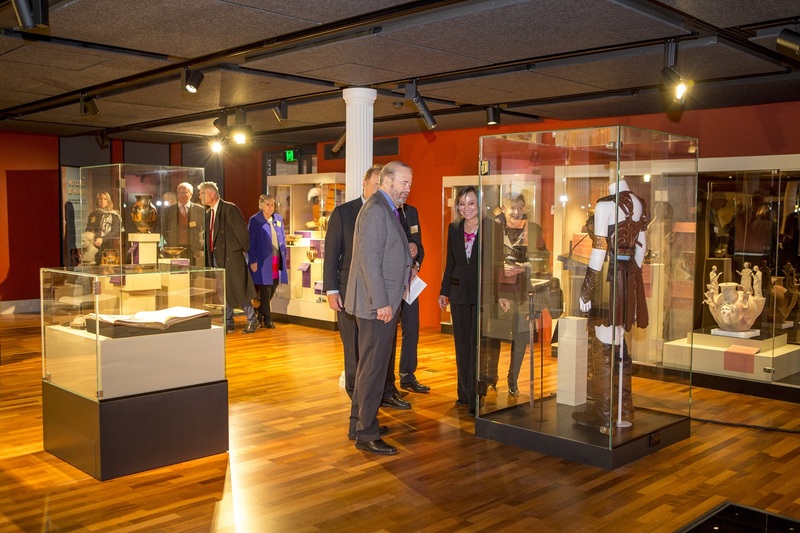 The Teece Museum of Classical Antiquities is another asset that will strengthen the relationship between UC students and the community. The James Logie Memorial Collection is one of the best and largest collections in the southern hemisphere, and is now on display for the public, allowing students to work closely with the collection’s curators. I have seen the changes and progress that the university has made post-earthquake to accommodate all students, and promote flexibility and innovation in these tough times. To me, this move is a strong milestone that shows that my university and my college are going forward, and have made it through what has been a tough few years. These facilities show me that the arts are still so important and relevant, and that they are in fact flourishing in a modern world. At a time where making connections, and engaging with our communities is so important, I think it is really appropriate that part of UC has made this move. The College of Arts is really connecting to the heart of Christchurch. I think matching innovative students with the rebuild of a city can only bring about a very promising future.